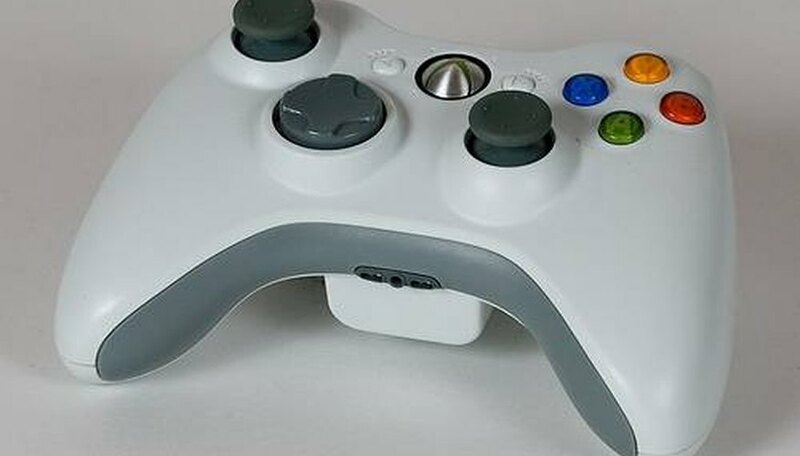 Up to 4 controllers in total can be connected to the Xbox 360 console. Some games allow you and three others to play at the same time, either against each other or in cooperative mode. For games that use instrument controllers, the connection process will essentially be the same as it is for standard wireless controllers. Insert batteries into the wireless controllers. Press the release button on the back of the controller, pull open the battery case and insert two AA batteries. Turn on the wireless controller. 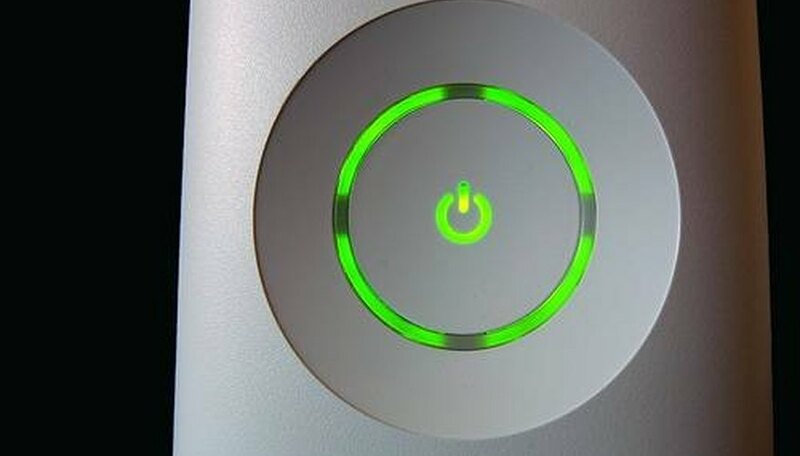 To do this, press the large round button in the center of the controller and hold it down until the button lights up. 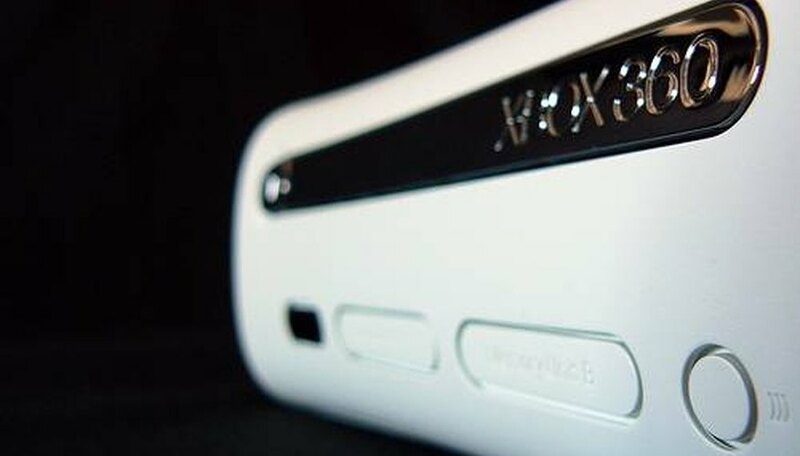 Turn on the Xbox 360 console. Next to the slot marked "Memory Unit B" is a small round button with a symbol that looks like 3 parentheses in a row. Press and release this button. Press and release the button on the controller that has the same parentheses symbol next to it. It is located on the top edge of the controller, between the buttons marked "LB" and "RB." Watch for the controller and the console to light up. Repeat the process for up to four controllers in total (wired and wireless). Plug the USB end of the wired controller into either of the two front ports. 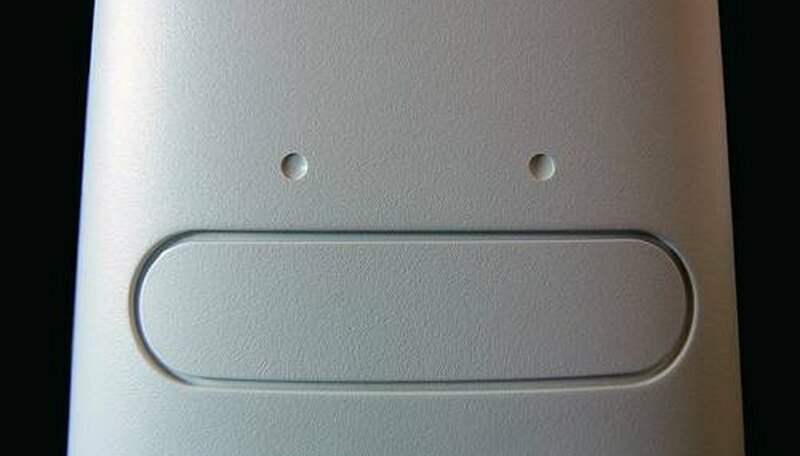 The ports are located behind a small door on the bottom of the console, near the power button. Verify that the controller is working. If it is not, find the in-line release on the controller's cable and check that it is correctly connected. Repeat the process for up to two wired controllers. Up to four controllers in total (wired and wireless) can be installed. The "ring of light" on the front of the console is divided into four quadrants. Each quadrant that lights up indicates that one controller is connected.